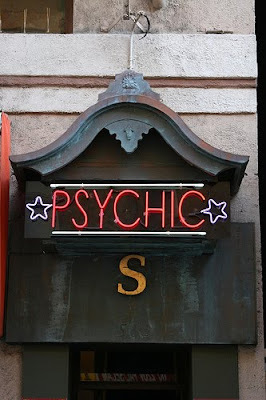 I have been doing a lot of email psychic readings lately, and I know a lot of people may wonder how that works. With normal readings I do, I have to get a “grip” so to speak of the persons energy in order to make a connection. I then am able to read their energy to determine health issues and answer questions about future developments in their life and lifestyle. During readings in person I may be able to connect with the persons spirit guides and relatives who have passed away. Doing it via email is a bit more difficult. An email reading is basically all about making that connection with the person long-distance. I usually close my eyes and imagine that person and try to find them in the universe. A photo of the person helps me to connect and gives me an anchor on which to meditate. From there the reading is very much the same, including all the basic information people look for, plus communication with loved ones who have died. Communication with a person’s “spirit people” is almost the easiest thing I do during an email reading, as location is no barrier to the spirit world, and they simply present themselves to me wherever I am. One thing that is an interesting development in the email readings is that the information I receive is often typed with my eyes closed, much like “automatic writing” in the historical sense. 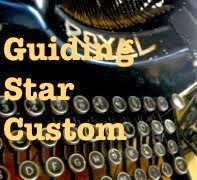 Automatic writing is basically giving up your conscious control over your writing and although it’s typically done via hand script, email readings are a natural use for this type of communication. I request no further information from my clients other than a photo, and I encourage anyone who has any reading of any kind to limit the amount of information they initially give their reader to avoid what is called “cold reading” scams. Thus far my email readings have been as successful as my personal readings, and it’s interesting to me how the psychic reader or psychic medium has evolved along with technology. I really enjoy your blog and it's unique to see someone who is psychic. How did you discover you were psychic and when were you brave enough to tell people? Amazing. I wish I could develop that type of ability and skill, to read one's fate with just the use of photo of the client. You're truly gifted.